Relax and stay a while! Since there is so much to explore, you’ll need more than one night to experience all there is to do in Miamisburg. 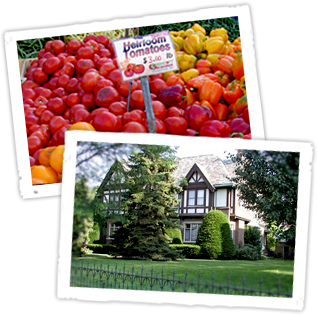 We’re just a short drive from hotels near I-675 and I-75, or you can stay at a local bed and breakfast. No matter what your preference, you’re sure to fine a convenient lodging location for all Miamisburg attractions. On some Saturdays during the summer, Main Street may be closed for a downtown event. In that case, turn left onto Second Street. Turn right onto Linden Avenue. Public parking lots as well as on-street parking is available throughout the downtown district.